Microsoft Office has easy access tabs for commands. Some of these commands are useful like font and spacing controls, others are rarely used by some like footnotes, and some commands you might need are not shown like some table options. This article shows Office 2016, but the process also works in Office 2013. Step 1:In the Office program that you would like to edit, click File, then Options. 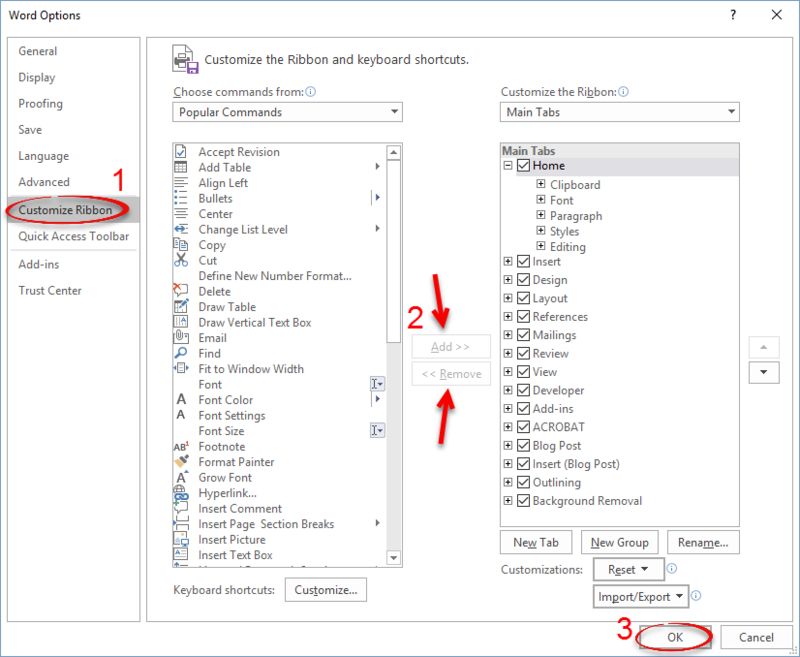 Step 2:Select Customize Ribbon on the left hand side of the dialogue box. From here you can add or remove commands from the Ribbon. Click OK when finished.